We had friends over yesterday for pre Christmas drinks and nibbles and a vote was taken on our Christmas decorations. Buddha won. 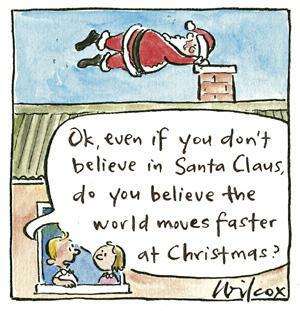 The flashing Jesus was deemed too distracting and everyone has seen a jazzin' Santa (apparently). 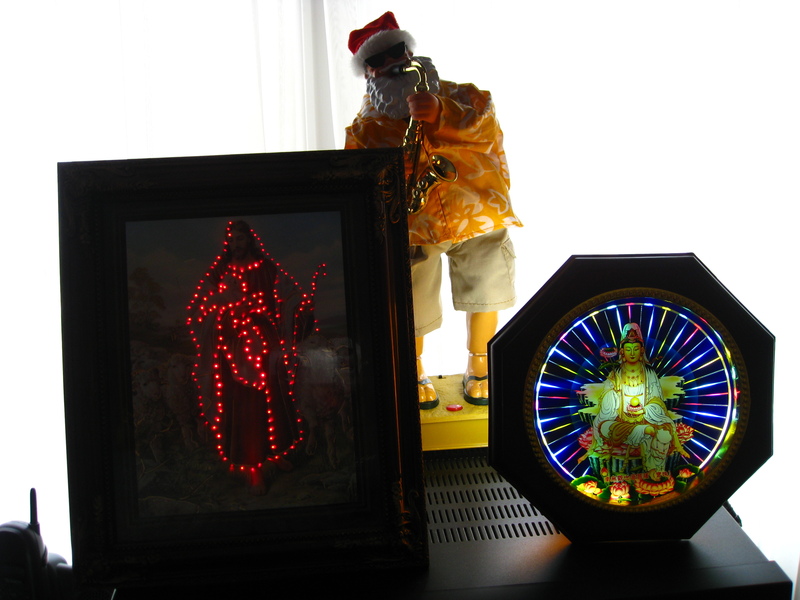 One guest commented that she thought the flashing Jesus was sacrilegious but, as noted, this was purchased in Chile, a predominantly Catholic country. It was found in a little stall full of very religious items. Anyway, we all decided that the more we drank the more mesmerizing the Buddha became …. There is a little bit of each of these philosophies in our household. 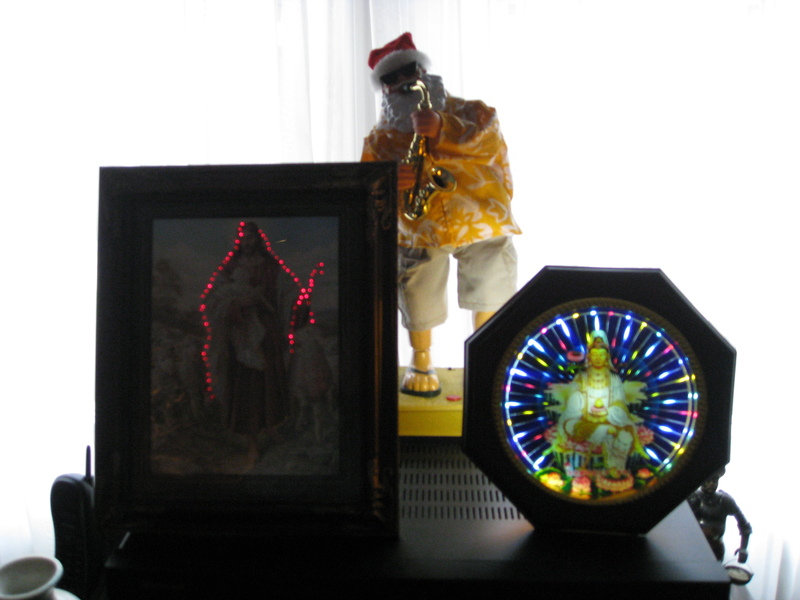 The flashing Jesus was purchased on a trip to Chile - the sheep's eyes are really quite demonic – though you might not be able to see that so well in this video (the original video was great but when it compressed it lost a lot). The Buddha was bought in a market in Nanjing, China earlier this year. 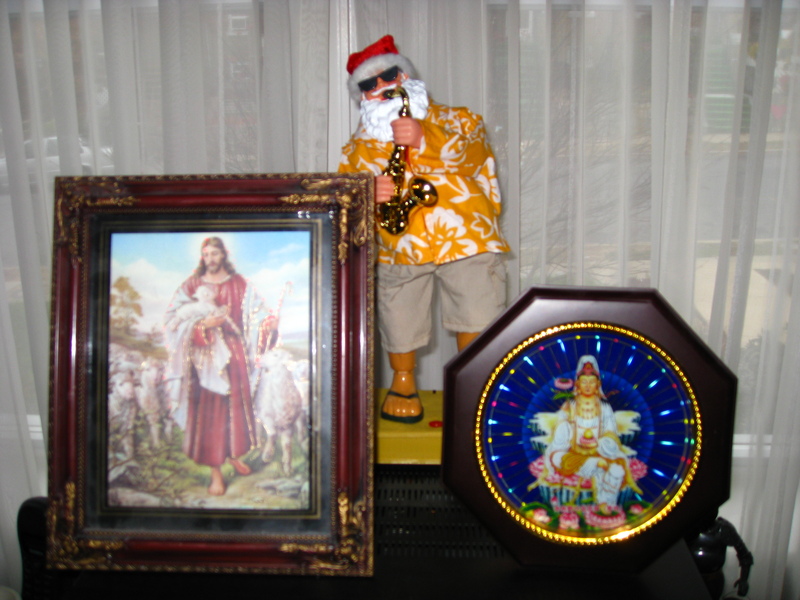 The jazzy Santa ….. well he was a gift to us to represent the Aussie in the house and the astro-dweeb who is an Hawaiian at heart. Well, after multiple attempts I can't get the video accepted – so here are photos – Santa is playing Santa Claus is coming to town….